South Florida immigration groups gathered in Little Havana to protest against the Texas judge's decision to block President Obama's Executive Action. A Texas Circuit Court Judge ruled against President Obama's executive action on immigration Monday night. This puts on hold immigration programs DAPA (Deferred Action for Parents) and the expansion of DACA (Deferred Action for Childhood Arrivals). 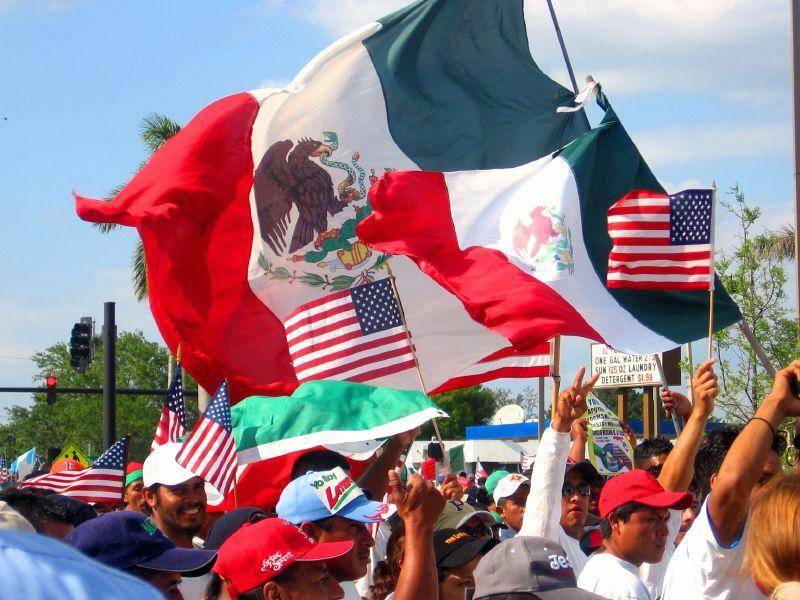 South Florida immigration groups aren't taking this decision lying down. On Tuesday, several groups gathered to protest the judge's decision. DAPA and the DACA expansion have been put on hold, but some undocumented Floridians are still optimistic. "What President Obama did, it is constitutional so this is just a little a small bump. It’s just a political strategy trying to put fear in our communities," said Diego Ramirez, an undocumented student. "But we still have hope and we’re still gonna get all the people who are eligible for DACA plus and for DAPA to get ready." In 2012, Michael Sanchez began the immigration group Homestead Equal Rights for All. The organization works with undocumented immigrants to inform them of their rights and encourage them to apply for immigration programs. "My best friend, she was undocumented. And at the time I didn't know what that meant until I went to one of the meetings and through there I met some really great people. Through there I actually met my boyfriend and found out that he was undocumented as well," said Sanchez. "Through that I found more passion to fight for them and keep them here." Armando Carrada is an undocumented student at Miami Dade College. "A lot of people qualify [for DACA and DAPA] and those people just come here to have a better life than they have in their countries," said Carrada. "If I had stayed in my country, I would've maybe joined a gang or something like that. Here I've been able to actually finish my school, go to work and go to college because of DACA." With this ruling, undocumented families will have to wait until the case is taken up by the 5th Circuit U.S. Court of Appeals. 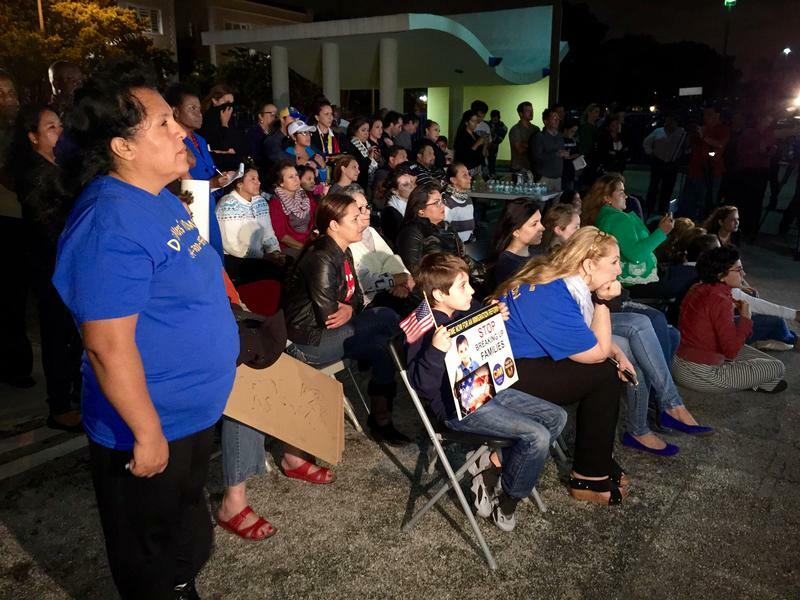 Many of Florida’s immigration organizations and nonprofits are preparing to meet the demands of President Obama’s recent executive action on immigration. The president’s plan mostly covers undocumented immigrants who have been living in the United States for more than five years and have children who were born here. Those with no criminal records will qualify for work permits. As colleges and universities begin the fall semester, some undocumented students are paying the same tuition rate as Florida residents. A handful of schools like Miami Dade College have been doing this for a while, but now the cheaper tuition is being offered statewide. A law that went into effect July 1st grants in-state tuition to those who meet certain requirements. Does Hispanic Consumer, Taxpayer Strength Help Immigration Reform? Immigration reform opponents frequently argue that undocumented immigrants are a drain on our economy and government services. But a new study hopes to refute that idea – and show how strong a consumer and taxpaying force Hispanics are. Partnership for a New American Economy is a group of government and business leaders who support immigration reform. In Miami on Thursday it reported that the annual purchasing power of Hispanics – who are the majority of undocumented immigrants – now tops $600 billion. In Florida it’s $65 billion – or one of every six spendable dollars. South Florida is seeing a larger influx of undocumented immigrants, especially Central Americans fleeing violence in their home countries. As a result, Miami’s Roman Catholic Archbishop Thomas Wenski joined leaders from the Florida Immigrant Coalition Thursday morning at the downtown Freedom Tower. He urged President Obama to keep his pledge and stop deporting law-abiding undocumented immigrants in this country – at least until Congress acts on immigration reform.